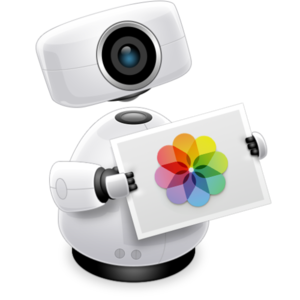 If you find yourself banging your head against Apple’s Photos app limitations, you may want to check out the latest version of PowerPhotos. Version 1.6 has several new features to help you get your photo library in order. Because PowerPhotos allows you to work with multiple Photos libraries, now when you copy or merge Live Photos between libraries, both the photo and video components will be preserved. Also, your photos’ original filename will be kept so that when you copy photos that have been edited in the Photos app, they won’t be imported into the destination library with its unhelpful modified name (e.g. “IMG_0001.JPG” instead of “fullsizeoutput_123.jpeg”). The photo browser’s got a few helpful tweaks. Now you can heart you favorite photos with a heart icon in grid view. You can also see how long a movie is in grid view. And if you haven’t titled your photo, its filename will now be displayed underneath the photo. If you’re an existing user, the update is free. If you’re interested in PowerPhotos, there’s a free version you can try, but if you want to use the advanced features such as copying photos, merging libraries, and removing duplicate photos, you can purchase a license for $29.95. Several years ago, I was asked to speak at the Release Notes conference. This is a conference for app developers who want to get beyond the code and into the "business" of apps. I enjoyed participating and met some brilliant folks. If you are in the app business, this one is worth checking out. They are now selling tickets for the 2019 Release Notes conference, and Early Bird pricing ends April 30th. HoudahSpot is an application that unlocks the full power of Finder and Spotlight on the Mac. It simplifies the process of searching through your Mac for specific files. Using HoudahSpot, you can build searches that are as complex or as simple as you want. The beauty of HoudahSpot is that it is a visual process, and anyone can do it. I think I've been using HoudahSpot since version 1. They have now released version 5, and it is a whopper. There are a number of new features that justified the upgrade for me, including faster file tagging, keyboard shortcuts, popclip support, and I really dig the new vertical layout. There is a list of new features on the website. If you spend any time at all working with files on your Mac, this is one of those applications you should own. This episode focuses on hyper-scheduling and how to turn your calendar into a productivity weapon. Mike and I also continue the conversation about digital minimalism and share a few of our favorite books. MOO: Custom business printing and design. Use promo code PRINT15 for 15% off. This week MacSparky is sponsored by TextExpander, the text expansion tool for Mac, iPad, iPhone, and Windows that will save you so much time. How much time? TextExpander has saved me 14 hours since my last install. That is literally additional time for me to spend with my family, read a book, or take a nap that I'd have otherwise been at my keyboard. With the latest releases, TextExpander 6.5 for macOS and 2.0 for Windows, creating powerful snippets is easier than ever. The new visual editor makes it easier to see and edit snippet Fill-ins, dates and date math, nested snippets, and more. You can Insert words, phrases, forms, templates, and more with just a couple key clicks—everywhere you type. TextExpander is automation for everyone. What would you do with an additional 14 hours? Subscribe to TextExpander with this link to get 20% off your subscription and find out. Pixelmator Photo, the latest application from Pixelmator, is out. This iPad-only application is a powerful photo editor that allows you to manage and edit RAW images right on your iPad. Like other Pixelmator products, Pixelmator Photo includes tools to make one-tap improvements to your photos and more precise tools to make adjustments to individual attributes of your photos. Pixelmator’s something extra is the inclusion of machine learning based photo editing. The application has a machine-learning enhancement that allows you to fix your image with the touch of a button. Pixelmator has now fed their algorithm over 20 million professional photos. More often than not, the machine-learning enhancements are better than my own attempts to tweak a photo with the precision tools. I had never seen the ability to use machine learning to crop your images. If you didn't take the time to frame your image correctly before, now you can let the robots do it for you. This works better than you think it would. The application also ships with a collection of hand-built presets. These allow you to apply several black-and-white and color filters to your images. Most impressive about the new application is the repair tool. If you have something on your image you want to remove, swipe the repair tool over it, and Pixelmator fixes it for you. What makes this interesting is the breadth of the repair tool. Watch this video to see what I mean. Pixelmator Photo sells for $5 but has an introductory price of $4. If you want to edit photos on the iPad, this is worth it. Guilherme Rambo at 9to5 Mac seems to have some good sources in Cupertino. He recently published a long list of expected iOS 13 features that focus on productivity. The list looks good. I was sorry to see no mention of improvements to the Files app though. Journaling can be an excellent way to collect your thoughts and reflect on the events of the day. Join us on this week’s episode of Mac Power Users as Stephen and I talk about how the journal app Day One makes it easy to do so with your Mac, iPhone, iPad, and more. 1Password: Have you ever forgotten a password? You don't have to worry about that anymore. In this episode of Automators, Rosemary and I interview the mysterious internet legend Dr. Drang. We talk about Python, Perl, and AppleScript and dive into regular expressions, Shortcuts, Drafts, and Keyboard Maestro. Then, we show how you can combine all of these in various different workflows! Luna Display: The only hardware solution that turns your iPad into a wireless display for your Mac. Use promo code AUTOMATORS at checkout for 10% off. TextExpander, from Smile: Try the new release with the visual editor. Get 20% off your first year. This week MacSparky is sponsored by BetterTouchTool, the Mac App that gives your input devices superpowers. While Apple makes some excellent trackpads and mice, the built-in gestures are just a taste of what you could do with those devices. With BetterTouchTool, you can completely re-design your Touch Bar, configure various Magic Mouse and Trackpad gestures, define keyboard shortcuts, bind standard mouse buttons, use the Siri Remote with your Mac and do tons more. BetterTouchTool offers many actions to automate various tasks on your Mac. These can be assigned to any input-device trigger you choose. Additionally, it contains some handy features like window snapping, a clipboard manager, a screenshot editor, and much more. It even includes a free iOS app to control your Mac and trigger actions remotely. If you have a MacBook or MacBook Pro, this app is an absolute game changer. Recently, the BetterTouchTool Community was begun, which you can find at community.folivora.ai. Users have shared some amazing presets there, including some very advanced custom Touch Bar setups that you should check out. One of my favorite Better Touch Tool gestures lets me quit the current app by pinching with my thumb and two fingers. Whenever I want to shut down a bunch of apps, and my hand is on the trackpad, there is no faster way. BetterTouchTool comes with a 45-day trial after which you can choose between a license that includes all updates for two years and a lifetime license. BetterTouchTool has been around for nine years, and I've been using it the entire time. With BetterTouchTool, I can make my Mac dance. You 2should too. MacSparky readers can purchase BetterTouchTool for 15% off at checkout by using the coupon code MACSPARKYBTT for a limited time. So don’t delay. Go to folivora.ai to learn more and take advantage of the special limited-time, 15% discount on BetterTouchTool. Today Jason Snell released his iMac review. I like this review for several reasons. First, he reviewed a high-end iMac, not the entry level machine as people so often do. Second, Jason uses an iMac Pro daily. I’m often asked by readers and listeners exactly where the cutoff point is between the high-end iMac and the low end iMac Pro. With Jason’s insight and familiarity with both machines, we finally have an excellent resource. In addition to the performance trade-offs, Jason also covers some of the new technologies included in the iMac Pro which still have yet to make their way down to the iMac line. Those differences are substantial. I explained how I love my iMac Pro at length on my gear page. I still feel the same. Jakob Haq, a musician and YouTuber from Sweden who creates, edits, and publishes all of his content with his iPhone and iPad, joins us on this week’s episode of Mac Power Users. The Omni Group: We're passionate about productivity for Mac, iPhone and iPad. Bombas: The most comfortable socks in the history of feet. Use this link for 20% off. The Wall Street Journal is reporting that Apple Music is now bigger than Spotify with 28 million subscribers. If that’s true, it doesn’t surprise me. Apple has a considerable advantage in that it is baked into iOS, works with Siri, and just more convenient for iPhone owners. I thought it would be a good time to check in on Apple Music since I haven’t written much about it since it initially launched. We've enjoyed a family subscription ($15/month) since launch. Everyone in my family loves music and, oddly, we all listen to different kinds of music. As a result, we have downloaded a lot more music than we would have if we were paying for tracks and we are getting our money’s worth on Apple Music. I haven’t used Spotify, but I know its users are big fans of the recommendations. I don’t feel the same rabid love for Apple Music recommendations that my Spotify-wielding friends profess. Still, the suggestions are good. No longer does it throw artists at me from my kids’ playlists. (Sorry Hannah Montana.) The recommended playlists are a good assortment of artists I already love, artists I’d like to hear more, and artists I’ve never heard of before but are nevertheless in my wheelhouse. I like Apple’s recommended playlists and their A-Lists, where I’ve found several new interesting artists. I also like the easy ability to share tracks, as I’ve often done here. While the user interface has improved over the years, there is still room for improvement. For instance, the buttons across the bottom of the music app are too opinionated. I’ve never listened to Beats 1 and don’t use radio stations. Nonetheless, some of the most valuable real estate in the user interface is taken up with a Radio button. Those buttons should be customizable. Radio button .. why are you there? By far, my favorite Apple Music feature is the depth of the catalog. I’ll frequently think of some obscure album and, more often than not, have it playing in minutes. Just a few weeks ago I woke up with an old Chuck Mangione song, Carousel, in my head. The song was recorded in 1975 and the last time I heard it had to be in the 70’s. Nevertheless, Apple Music had Carousel playing throughout my house in minutes. This week MacSparky is sponsored by OmniFocus, the task manager I’ve used for years to stay on top of my work and make time for play. OmniFocus not only offers its users power, it also comes with flexibility. You can make this app work the way you think. Need tags? OmniFocus has them. Want to review your active project routinely? OmniFocus does that. Need to quickly get your tasks out of your brain and into your Mac/iPad/iPhone? OmniFocus makes task capture trivial. With OmniFocus, you have all the tools. This week has been bananas for me. Because of some work commitments, I only have time for the few most critical tasks every day. OmniFocus is helping me out with that because I tag the most important tasks (I use “Big Rock”) and OmniFocus has a perspective to show me the big rocks every day. This week. I’m just doing those items. Next week, when things slow down a bit, I can dive deeper, but for now, I see exactly what I need. It’s a simple perspective and I’m adding a screenshot at the bottom of this post. I use OmniFocus every day to keep my life together. There is no way I could run a law practice, video business, three podcasts, and be a dad without the powerful tools that OmniFocus gives me. Why not check it out for yourself? Head over to the OmniFocus website and download the free trial. Make sure to let them know you heard about it here at MacSparky.com. Video game developer Shahid Kamal Ahmad is back on the latest episode of Focused to talk about his digital declutter, staying present, and quieting the voices in your head with an intentional approach to managing your technology. ExpressVPN: High-speed, secure, and anonymous VPN service. Get 3 months free with a 1-year package. We talk through the ups and downs of the Mac App Store and share some of the hidden gems we have found there over the years on this week’s episode of Mac Power Users. Then, Stephen and I recap Apple's recent media event after being interrupted by Mother Nature in the Sparks' yard. Gazelle: Sell your iPhone for cash at Gazelle! Away: Travel smarter with the suitcase that charges your phone. Get $20 off with the code ‘mpu’. Automators episode 20 is posted. Brett Terpstra, the mad scientist automator, joins to talk about how he got started in automation and share some great workflows for keyboard and trackpad automation, extending automation to your home, and more. Last year I made a last-minute decision to attend MacStock to see what it was all about. I had a great time, and this year I'm looking forward to going back. Moreover, this year I am participating. I will be giving the session, and we will be recording the Mac Power Users episode 500 live at MacStock. Stephen and I are making lots of plans, and I think it's going to be a lot of fun. MacStock has the feel of Macworld, but at the same time, it is much more intimate. Because there are fewer people, we all get to spend more time together. If you're interested in attending, I can get you a small discount with the discount code “macsparky”. Regardless, if you do attend, I’ll see you there. This week I guested on the Download podcast. Aleen Simms and I joined Stephen Hackett and Jason Snell to talk about Apple’s play services including Apple TV+, Apple Card, Apple Arcade, Apple News+ and so many other things that start with the word “Apple”.